Bangkok Christian College (Thai: โรงเรียนกรุงเทพคริสเตียนวิทยาลัย) is a private, all-boys, school in Bangkok, and it’s the oldest boys school in Thailand. Our school has long been regarded as one of the most prestigious and highly selective schools in Thailand. We attract only a small group of the brightest and the most talented students in the country. Commissioned by the Office of Private Education of the Thai Ministry of Education, we have provided the English Immersion Program (an English-Thai bilingual education program) to our students since 1995. Beginning with Prathom one (i.e. grade one), the EIP was expanded by one grade level per year. A full program (Prathom one to Matthayom six) is currently provided. 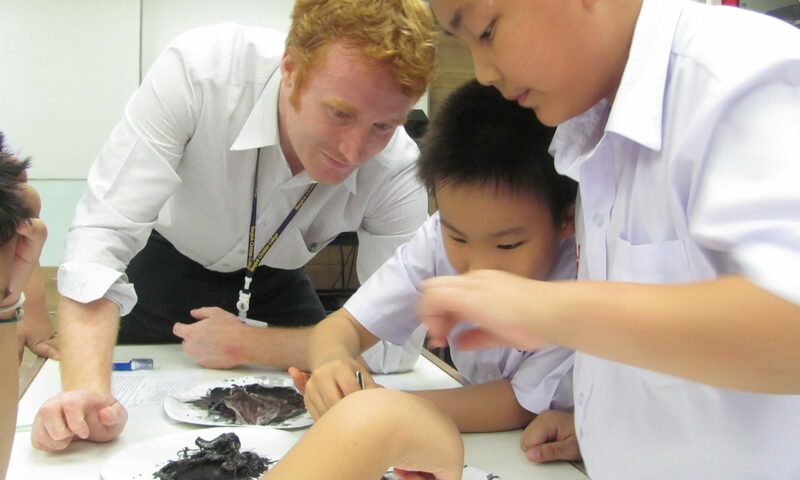 Native English-speaking teachers, as well as Thai teachers, instruct students in English; mathematics; science; computer technology; health education; physical education; music; and social studies. Bangkok Christian College’s current campus is in Bang Rak, located in the heart of Bangkok’s Silom District. The BTS skytrain station “Surasak” is a one minute walk from school’s main entrance on Sathon Road. Our teachers are just as committed to helping students as their predecessors were. These Christian missionaries who founded this school and dedicated their efforts to educating young students began doing so many years ago, in 1852. Students with numerous challenges can learn to thrive with the proper educational environment and with a firm educational foundation. In BCC’s EIP Prathom, our teachers make sure this happens. Stay tuned for a revamped and updated EIP website! Over the next few weeks this website will be updated with regular postings about school activities! See you soon!